Sharon Klein joined The Atlanta Junior League in July 2005, bringing with her 12 years of experience in the public sector as well as a decade of experience in the corporate sector with a fortune 500 company. 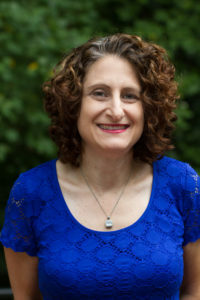 Sharon spent 12 years at Temple Kol Emeth rising from a part-time position as the Rabbi’s secretary to become the Executive Director, a position she held for 10 years. Prior to joining Temple Kol Emeth,Sharon spent 10 years with IBM in three different cities and in several various roles. Sharon lives in East Cobb of Marietta, Georgia with her husband of 29 years, Mark. She has a daughter Naomi who lives in Washington, DC and a son Jason, who is a first lieutenant stationed in Ft. Stewart, GA. In her spare time, she enjoys yoga, gardening and reading and going out to restaurants with friends.